We can help you establish an IRA and determine if you should be using a Traditional IRA (pre-tax) or Roth IRA (post tax). Let's talk! 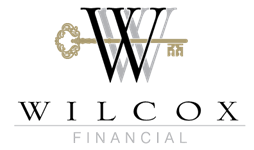 Achieving your financial goals is important, we will purchase stocks, bonds, ETF’s, and Mutual funds for you. Let's meet to discuss options! Do you have loved ones you want to make sure are taken care of or debt you need paid off in the event you die? Let us help you put a plan together! Can you continue to maintain your lifestyle, save or pay your bills if you weren’t getting your paycheck anymore? Meet with us to make sure your protected! Annuities aren’t right for everyone. Occasionally though, they provide some pretty awesome guarantees. Let's talk! If understanding 529 College Saving Plans tax perks is a goal, lets chat about what option may be best for your family. Are you a NYS public school teacher and want to start saving for retirement? We can help. Let's chat! We will work together to understand your financial situation and provide financial coaching to help keep you on trach to your financial goals. Let's put your plan in action!